The first race under lights at Dundalk on Friday night is the Crowne Plaza Race & Stay Handicap, and Polly Douglas can take the curtain raiser. A course and distance winner here two weeks ago, she races off 5lb bigger mark this time, which may not be enough to stop her from winning again. Libras Power should come on from his fifth on debut and lines up in the Irish Stallion Farms EBF Median Auction Maiden. He was behind two Joseph O'Brien horses, so no disgrace in that, and certainly one for the shortlist. Ben Coen takes off 5lbs. Victorious Secret only makes her second start for Anthony Mulholland in Division I of the Dundalk Stadium - Light Up Your Night Apprentice Handicap. Her first start was a fine third to La Novia here a fortnight ago, and should go close once again. 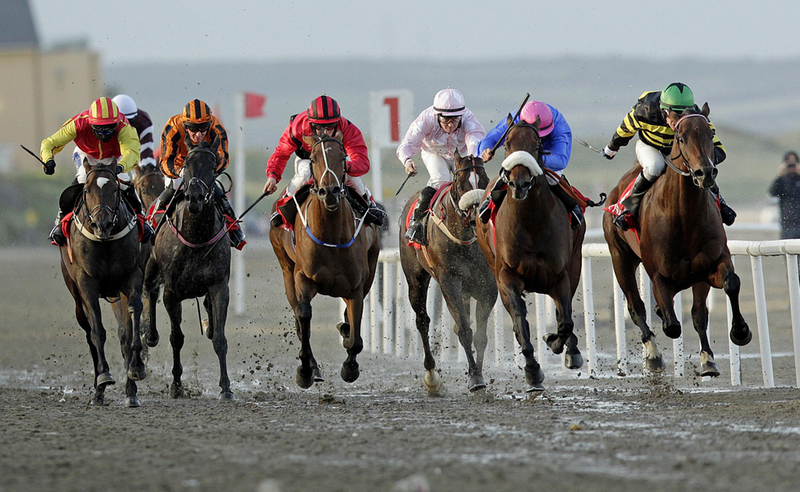 Division II of the Dundalk Stadium - Light Up Your Night Apprentice Handicap can be claimed by the 4yo filly Latchet. A few mixed efforts were finally forgotten after a good second a month ago in a similar contest, and will surely in the frame once more. 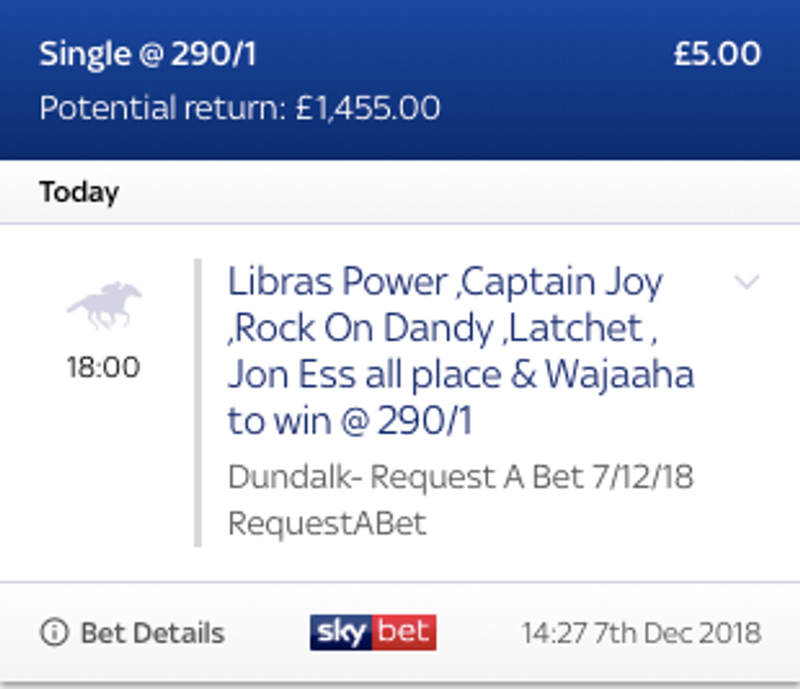 Captain Joy was a course and distance winner here back in January, and looks to be on the hunt to be back on the winning trail in the www.dundalkstadium.com Handicap. His last win outside of Dundalk, and outside of Ireland for that matter, was actually at Lingfield almost three years ago on All-Weather finals day. Another course and distance winner from January demands serious respect in this Irishinjuredjockeys.com Handicap. Noel Meade's yard are in excellent form, and She's A Star goes back to the All-weather after a couple of hurdles ventures. The Happy Christmas From All At Dundalk Stadium Maiden is the penultimate race under lights on Friday, which can be taken by Wajaaha. Recent second here sets the obvious standard, and this looks a good opportunity to break his tag with a drop in trip surely suiting. Good claimer on board also a boost. The Crowne Plaza Jockey & Trainer Awards Handicap closes another Friday evening card at Dundalk, and Jon Ess can capitalise from a good draw. This 4yo was a recent course and distance second latest, and must be on the shortlist from that basis. Good opportunity to gain his first win in six months.